Home Badminton Carolina to miss World Championships? Carolina to miss World Championships? 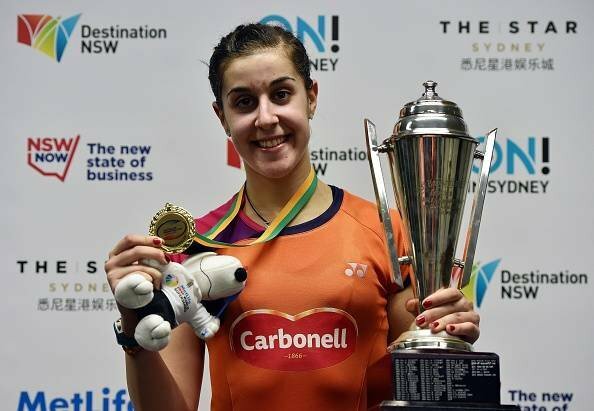 Carolina Marin, current World No.1 and defending champion at the BWF World Championships may give the event a miss this year. The clear favourite to win the title this time, Carolina has reportedly broken her 5th metarasal and is currently being kept in a hospital under observation. The badminton superstar from Spain shot to international fame when she surprised Li Xuerui in the final of the event in 2014 17-21,21-17,21-18 to take home the prestigious title. Carolina only got better from there, winning the All England, the Malaysian Open and the Australian Open Superseries tournaments in 2015. With Chinese players not at their best, Carolina along with India’s Saina Nehwal were being considered clear favourites for the World Championship title in Jakarta, Indonesia. Carolina is the fans latest obsession for her vocal and aggressive playing style and has already been tipped as a sure Olympic medallist for Spain. Everyone will be hoping that she recovers in time for the event starting on August 10th. Previous articleBastian Schweinsteiger: Where would he fit in the Man United team?